All are welcome to attend! No RSVP necessary. 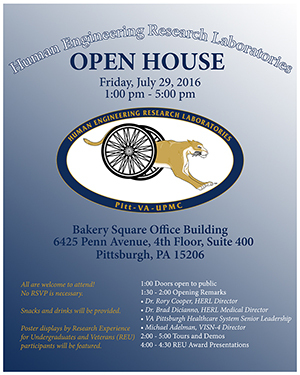 Poster displays by Research Experience for Undergraduates and Veterans (REU) participants will be featured. For more information, call 412-822-3700 or email herl@shrs.pitt.edu.